from the field of finance, analytics, statistics and accounting. O&W Analytics Sp. z o.o. is a modern consulting company created by a leading advisory firm Olesiński & Wspólnicy. O&W Analytics is specialized in conducting broadly defined analytical projects. Initially, the leading service provided was performing benchmarking studies for transfer pricing purposes, which originated from new provisions of transfer pricing regulations in Poland, effective January 2017. With time, our offer has been extended by other services, based on our knowledge and competence in the area of finance, analysis, statistics and accounting. Analytics team’s competences and experience are complementary to those possessed by Olesiński & Wspólnicy, which means that projects are often carried out jointly by both companies. Olesiński & Wspólnicy is a modern professional services firm. A team of experienced advisors of Olesiński & Wspólnicy offers legal and tax support related to company’s operations. GOBS provides support services for corporate internal processes, such as accounts keeping, financial reporting, controlling, tax settlement, social security and payroll, as well as state aid based on the European funds. GOBS has been operating and growing successfully since 2009. SAURUS Grow is performing complementary function, providing services to Olesiński & Wspólnicy and its Clients since 2003, including administrative functions, deliveries and organization of office work, special advisory tasks (projects other than legal and tax projects, frequently in cooperation with other entities). Driveshaft connects innovative young companies with knowledgeable and experienced investors and provides legal and business consulting to startups and investors. The company also offers outsourcing services. Based on years of experience gained in financial institutions, consultancies, manufacturers and service companies, we offer business advisory for enterprises. We have extensive experience in transfer pricing benchmarking and structuring transactions in capital groups. The competences possessed by the team also allow us to provide other services, such as feasibility studies, transaction consultancy (e.g. due diligence projects), valuations, analysis of business plans or support for companies listed on the WSE in the reporting areas. Through our projects, we have gained valuable experience in many sectors of the economy such as automotive, shipbuilding, food, e-commerce, IT, retail, real estate, construction and other industries. Effective 2017 the documentation requirements regarding transfer pricing in transactions between related entities have been significantly expanded. In addition to local file documentation prepared in a descriptive form, taxpayers are required to demonstrate that the prices or margins established in intragroup transactions do not differ from the terms agreed in non-controlled transactions. This is achieved by comparability analysis (benchmarking). Analysis of comparative data is often based on complex financial models that require access to unique financial data and in-depth knowledge of finance, risk assessment, statistics and econometrics. Due to the specificity of transactions, the process of preparing comparative data is usually very complex and involves obtaining financial data on similar transactions, followed by statistical processing of these data, including expert adjustments. Transfer pricing is subject to increasing interest of tax administrations. Recently the number of tax inspections in this area has grown significantly, and findings of the inspectors question settlements of taxpayers in an increasingly competent and effective manner. This is a global trend and its reversal is not expected. Therefore, it is crucial for enterprises within the capital groups to not only prepare the required tax documentation, but also to set the terms of the transaction between related entities in order to meet the arm's length principle. Using the extensive experience gained in the preparation of benchmarks, O&W Analytics experts specialize in creating tools that allow clients to determine the terms of intragroup transactions, such as e.g. loans. - an organized part is separated, within an existing enterprise, which may then be sold or contributed. Specialists participated in a number of projects related to the valuation of enterprises and frequently advise clients in this field. In addition, we specialize in advisory related to the accounting for acquisitions and mergers in consolidated financial statements prepared in accordance with IFRS and Polish accounting standards. An inherent element of investment processes is often search for external funding (e.g. subsidies, loans). In such a case, it is necessary to prepare a business plan which may cover forecast of company's financial results. O&W Analytics has extensive experience in modeling business plans, including for start-ups. Acquisition of an existing enterprise may turn out to be the best way to expand business operations, increase market shares or enter a completely new market. Such a transaction may, however, expose the buyer to many risks resulting from the lack of detailed knowledge about the status of the acquired entity. The process of recognizing risks and calculating their impact on the financial position of the business taken over is a process of due diligence. O&W Analytics conducts financial due diligence, while in the area of legal and tax due diligence, we recommend Olesiński & Wspólnicy. A great advantage of completing the due diligence process to the full extent is not only getting to know the acquired company better, but also obtaining arguments that may be helpful in the purchase negotiations. It is not rare in implementations of ERP systems in Poland that the system does not meet some requirements of tax laws, the Accounting Act or other legal acts. This usually results from the high pace of system implementation. The final, negative effect for the Polish subsidiary may be the system's non-compliance with law (e.g. invoices generated in the system do not meet requirements of tax law) or non-functionality (e.g. lack of ability to generate tax filings out of the ERP system). Therefore, it is important that local legal requirements are taken into account when implementing the ERP system. O&W Analytics, with practical knowledge and experience gained during the implementation of ERP systems, offers assistance in implementation or post-implementation audit, the aim of which is to detect as soon as possible problems that may result in a lack of compliance with legal requirements. - periodic reporting - support of issuers in fulfilling their duties. Most of our work concerns significant challenges – these are projects requiring experience and expertise. Each of them is run by experienced leaders who are responsible for the quality of advice and personally engage in an ongoing relationship with the client. Key staff are professionals with relevant experience and knowledge covering client's business environment. Moreover, we have a wide network of experts specialized in various fields and sectors of the economy, that can be used when a project requires it. O&W Analytics is a team of experts with the necessary knowledge in the field of finance, statistics and banking. The team consists of analysts with experience in financial institutions, banks, consulting companies, graduates of renowned economics and technical universities. 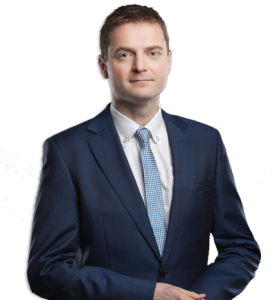 Marcin combines thorough knowledge of finance with over 15 years of international professional experience. He began his career at PricewaterhouseCoopers in Rotterdam, where he was involved in auditing financial statements of international companies. After 3 years in the Netherlands, he moved to Wrocław, where during 4 years of work at PwC he managed audit teams and also participated in consulting projects (transactional due diligence, initial offers on the WSE, reviews of business processes and internal control systems). From 2009, Marcin was the operating and financial director of NK.pl, where he also participated in the investment program in start-ups. In January 2013, he started working as Fund Accounting Senior Manager at the Bank of New York Mellon, where he managed over twenty specialists responsible for transitioning from Ireland and then conducting in Wroclaw the process of valuation of several dozen investment funds managed by a large European bank. Just before starting cooperation with O&W Analytics, Marcin worked for a year as Finance and Reporting Manager in the international Sidel group (part of the TetraPak / TetraLaval group), where he was responsible for creating the accounting team, implementing the SAP system and transferring accounting and reporting processes of several companies from the Sidel group from Western Europe and Russia. Since 2004 Marcin is a certified member of ACCA. He is fluent in English and communicative in German and Dutch. Tomasz participated in many complex consulting projects. He specializes, among others, in the tax aspects of restructuring and issues of international tax law. He has experience in transformation and merger of companies, tax planning for the sale of enterprises and significant assets, tax audits and due diligence, negotiations of individual public aid packages for foreign investors, representation of clients in proceedings before tax authorities and administrative courts. Due to the profile of supported clients, he is familiar with issues related to the automotive, energy, telecommunications, food and electronic media sectors. Tomasz deals with the subject of digitization of tax settlements. 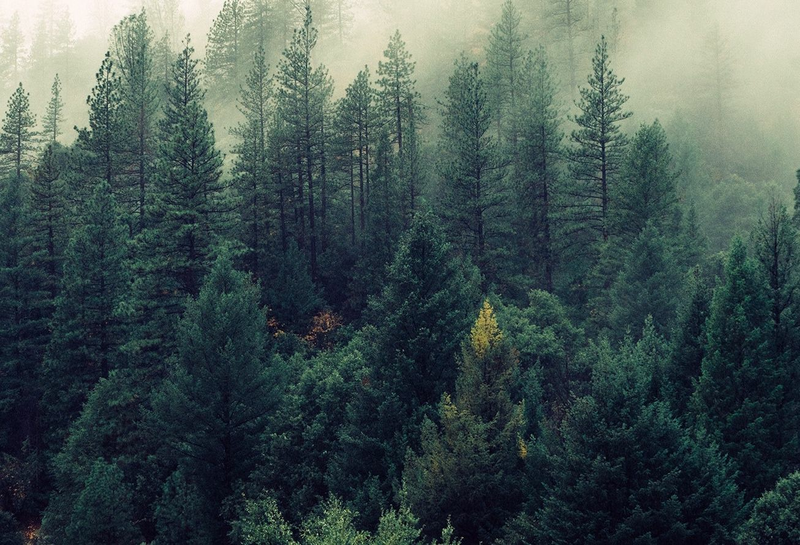 He participates in the design and implementation of software supporting tax settlements. 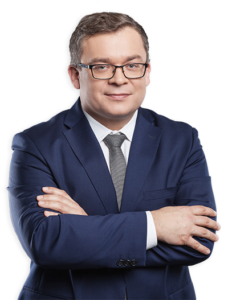 He is the author of many tax publications in Rzeczpospolita and Dziennik Gazeta Prawna business dailies. He started his professional career in 1999, worked in the audit department and tax advisory department of the Rödl & Partner Law Firm, and then in the tax advisory department of PricewaterhouseCoopers, where for the last 4 years he managed the advisory team for German Desk clients. Since 2009, he is a partner in Olesiński & Wspólnicy. Tomasz is a licensed tax advisor, he graduated from Finance and Banking at the University of Economics in Wroclaw. He is fluent in German and English. 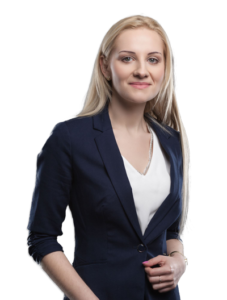 Malwina gained professional experience in financial management in financial institutions – the National Bank of Poland and the National Clearing House, as well as in commercial banks. She specializes in financial analysis, company valuations and assessment of investment projects. She participated in projects concerning the modification of budgeting processes, financial controlling and IT systems used in enterprise management. At O&W Analytics, she deals with transfer pricing consultancy. Her experience includes preparation of benchmarking for entities operating in the automotive, e-commerce, shipbuilding and construction industries. She also created financial models for the needs of valuation of investment projects for start-ups. Malwina is a distinguished graduate of the Faculty of Computer Science and Management at the Wrocław University of Technology in Wrocław. She also completed post-graduate studies in the field of business analytics at the Academy of Analytics: R, SAS & Python at the Warsaw School of Economics and postgraduate studies in financial analysis and financial management at the University of Economics in Wroclaw. In addition, she develops her interests related to the capital market. She is fluent in English. Our experts will be happy to provide you with more information. Please contact us via the form or directly, by e-mail or by phone. O&W Analytics Sp. z o.o. Znaczna część podatników, oprócz dokumentacji przygotowywanej w tradycyjnej opisowej formie, zobowiązana jest do wykazania, iż ustalane w transakcjach wewnątrzgrupowych ceny lub marże nie odbiegają od warunków uzgadnianych w transakcjach niekontrolowanych, na podstawie zgromadzonych danych porównawczych. Analizy danych porównawczych to często złożone modele finansowe wymagające dostępu do unikalnych danych finansowych oraz pogłębionej wiedzy z zakresu finansów, oceny ryzyka, statystyki i ekonometrii. Z uwagi na specyfikę zawieranych transakcji, proces przygotowania analizy danych porównawczych jest zwykle bardzo złożony i obejmuje pozyskanie danych finansowych dotyczących podobnych transakcji, a następnie obróbkę statystyczną tych danych. Ze względu na daleko idącą specyfikę analizowanej działalności, uzyskane wyniki często poddawane są dalszym korektom uwzględniającym na przykład zróżnicowany poziom podejmowanego ryzyka przez strony transakcji lub różnice w poziomie zaangażowania aktywów. www.ow-analytics.com korzysta z technologii przechowującej i uzyskującej dostęp do informacji na komputerze bądź innym urządzeniu użytkownika podłączonym do sieci (w szczególności z wykorzystaniem plików cookies). Zgoda wyrażona na korzystanie z tych technologii przez stronę internetową www.ow-analytics.com lub podmioty trzecie, w celach związanych ze świadczeniem usług drogą elektroniczną, może w każdym momencie zostać zmodyfikowana lub odwołana w ustawieniach przeglądarki. Więcej o naszej polityce dotyczącej cookies dowiesz się tutaj.